I have worked through the latest (but hopefully not final) Coast Guard FOIA response I referred to the other day. This relates to the Coast Guard FOIA I submitted on Nov. 4, 2013, almost THREE FULL YEARS ago this coming Friday. This appeal process has gone on for about a year, with the CG making the last release on 1 September 2015 and my response submitted in response on 13 November of last year. There are 68 pages of documentation and correspondence streams. Some of the pages deal with information we already knew about. There are some new documents, however, including discussion about the sale, her status as "PCB-free" and issues with the buyer. 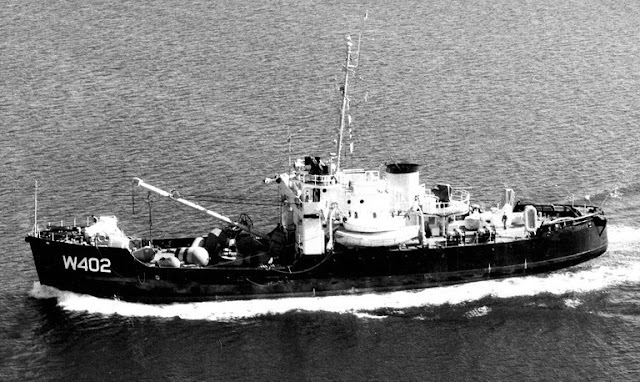 This includes two efforts by the Coast Guard to regain custody of the ship when the buyer continued to ignore the deadlines for removing her from storage at Suisun Bay. GSA instead took the buyer's side and rebuffed the Coast Guard. 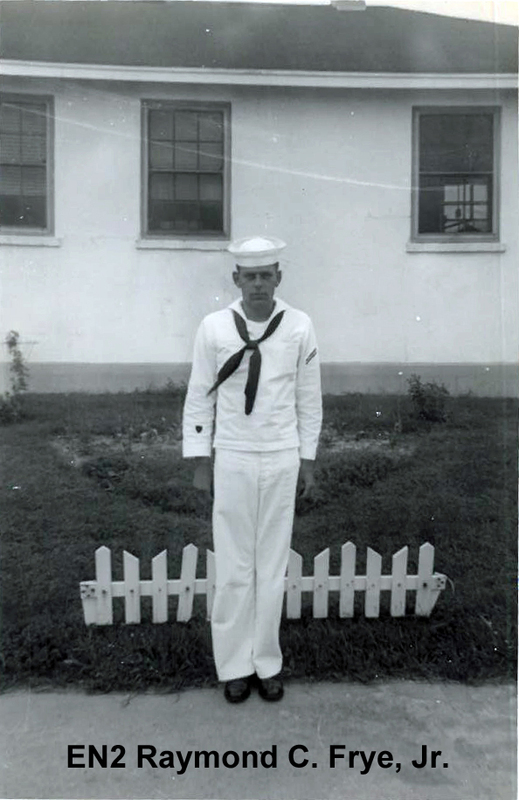 As you may recall, the Coast Guard sent information to me and called their effort complete. However, I pointed out in an appeal that I had documents in my possession that involved STORIS and the Coast Guard, documents that I had received from other government agencies and individuals. These records were not included in the materials released by the Coast Guard, so it was clear that the CG had withheld or otherwise overlooked records related to the ship. There was also the serious matter of claiming to have looked for records related to the ship in a location that we knew, as a matter of procedure, would have been purged of those records. 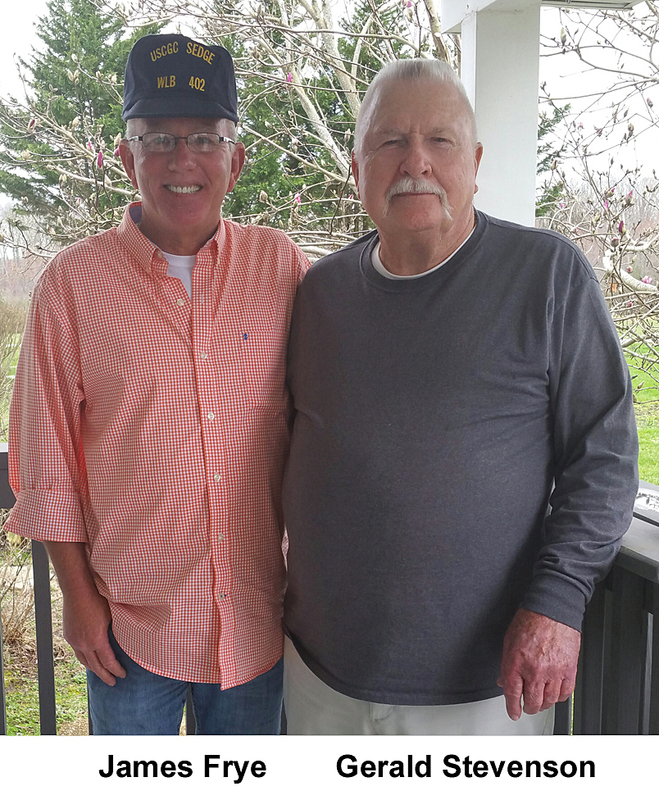 The recent materials involved correspondence largely with Jeff Beach, the manager of retired boats and cutters. The response did not address most of the appeal points I submitted, such as the documentation from other sources and the missing/overlooked correspondence from senior CG officials. And not one word of explanation about my contention that the CG was dishonest in saying that there were no records to be found related to STORIS and haz-mat remediation based on a search of a facility where the records would not be kept any longer. There is a ridiculous amount of redaction throughout the documentation. The Coast Guard officials assert that the redaction is necessary to protect the privacy of those whose names were redacted. The problem is that we are not asking for private information related to these Coast Guard officials and officers. This isn’t matter of invading anyone’s privacy. These are people who need to be identified for their roles and involvement in the excessing and disposal of STORIS. Their actions within this context is official action within their official capacities as part of the Coast Guard. One of the main purposes of FOIA is to prevent the government from hiding information about its operations and to provide accountability. Hiding the circumstances around the actions of government employees and officials to prevent a range of response from embarrassment to prosecution is certainly not a legitimate reason for the government to withhold information. This flies in the face of what FOIA is intended to do. This redaction is an overreaction and overreach to my request. I will be submitting another appeal of this mess. All this waiting for almost a year for just a few answers. I have until 5 January, so there is some time yet to refine a response. It will take some time to sift through this mess as presented by the CG. Losing STORIS was an embarrassment for CG officials when it occurred, but their response since then is only compounding their actions and making them appear worse. To call out particularly important sections, pay attention to pages 52-59. These are pages of correspondence that we have not seen before between CG and EPA officials discussing the issues surrounding the PCB testing performed on STORIS for her Environmental Assessment to allow her decommissioning. These discussions show that the CG did not understand current regulations for ship disposal related to PCBs. EPA officials questioned the language in the documentation and the procedures followed for the documentation and disposal of the ship. This process was followed incorrectly and there should have been serious penalties for the parties involved. The CG made huge mistakes in this situation. We know from other FOIA releases that MARAD officials also questioned what was going on with STORIS and her PCB-free status but they did nothing about it either, despite being the federally designated agency for ship recycling. EPA didn’t act to intervene with the ship’s export when she was still en route and in the yard in Mexico. And once STORIS was out of the country, we raised additional concerns but there was no follow up, and none of these officials/agencies did what was supposed to have been done. Instead, STORIS was destroyed. This likely illegal export of a ship containing encapsulated PCBs is exclusive of what we later found to be the illegal export of a U.S. Federal Government vessel in violation of Section 3502 of the Duncan Hunter National Defense Authorization Act of 2009. Incidentally, we are still waiting for documentation from EPA. I submitted my FOIA appeal to them in May 2014, some 17 months ago. Cover sheet: https://goo.gl/TmRuv8. The content is here: https://goo.gl/wrU2hj. P 1-5 – The seriously flawed PCB testing report created in 2000 that was later used at the ship’s decommissioning in 2007 to satisfy the Environmental Assessment requirements. This includes the simple one-page cover letter that declared STORIS free of regulated PCBs. This document has been shared in several other FOIAs in unredacted form from other agencies. I also received this document literally just after the ship departed from Suisun Bay and it served as a basis of our emergency appeal to prevent the ship from being allowed to exit U.S. waters. This has been discussed before, so I am pulling comments from earlier releases to explain… This is lengthy up front, but important to refresh everyone’s memory and to set up the context for that very important release of documentation later in this packet on pages 52-59. The reason that this report is significant is that cutters like STORIS, ACUSHNET, MACKINAW, the 180s, etc. were constructed during World War II and all used similar coatings, lubricants, wiring and other materials that would have contained PCBs as a matter of the pervasive use of these substances. The likelihood that any of these ships were truly “PCB-free” when released by the Coast Guard is seriously open to debate. Even claims that these ships are “free of regulated levels of PCBs” is questionable. Sending them to another country for reuse is pretty much ignored as an exemption to the PCB laws. Different federal disposal laws cover asbestos and lead paint. According to the Coast Guard, the only ships that have issues with PCBs are some of the WMECs from the 1970s because of a particular type of cabling used on them. I’ve been told by ship recycling experts there’s no way that it’s that limited. STORIS was supposedly free of regulated PCBs. She tested positive for PCBs for her 2006 Environmental Assessment but with the removal of 20 linear feet of black foam pipe insulation in January 2007, she was miraculously declared PCB-free with that one-page fax cover sheet. This did not cover any encapsulated PCBs that would still have been on the ship in wiring, early layers of paint, etc. This paperwork is what was used to allow her export, even though the whole process likely violated environmental laws. Had EPA inspectors actually boarded the ship to inspect her as I begged them to do just before she was towed away to her destruction, I believe they would have seen plenty to be suspicious about. But they fell back on that flawed paperwork and let her go. As explained earlier, I sent this EA paperwork for STORIS to a ship recycling expert who works as a manager at one of the yards in Brownsville. He specializes in dismantling ships, mind you, so he’s well up to speed on government regulations related to PCBs and disposal. He said that the testing done by the Coast Guard on STORIS (which was identical to ACUSHNET -- as both ships were done simultaneously – and MACKINAW a year earlier) was seriously flawed. It was obvious after reviewing the documentation that there was a clear and conscious effort to avoid testing any areas of the ship that would likely contain PCBs. For instance, not one location in STORIS’ electrical system had been sampled. In addition, while the paint was tested for lead content, no PCB testing was done on the paint. The testing is supposed to be random and thorough. If PCBs are found, they are to be remediated and another course of testing performed. That wasn’t done on STORIS. The PCB testing is only a couple pages long in the report and only sampled some three dozen or so locations, including rubber mats that were only a couple years old at the time of testing. Of course, there would be no PCBs there. Had a private ship recycling facility handled testing like that, they would have been fined into the ground by the EPA regulators who monitor shipbreaking here in the States. It’s expensive and comprehensive to test absolutely everything that may contain PCBs on older ships, so it is accepted within the U.S. shipbreaking industry that only way a ship of that vintage can be totally and truly PCB-free to regulatory levels would be to dismantle it and properly recycle all the materials to absolutely remove any possible PCB-impregnated materials. One of the big issues that we discovered with this travesty with STORIS is that GSA also does not release haz-mat information related to the ships it sells. GSA was sued in 2011 by a company that bought POSEIDON, a former NASA barge that contained some 250,000 gallons of haz-mat contaminated ballast water. NASA told GSA that the barge was dirty but GSA didn’t tell the buyer. The buyer only found out after the purchase when they were faced with disposing of the chemical-laced water. The federal court sided with the buyer and voided the sale. The same woman at GSA who sold that barge, Tonya Dillard, also sold ACUSHNET and STORIS at auction. And for this, she makes a hundred grand a year. Later in this Coast Guard release there will be some serious discussion among Coast Guard and EPA officials related to this process with STORIS and PCBs in particular. 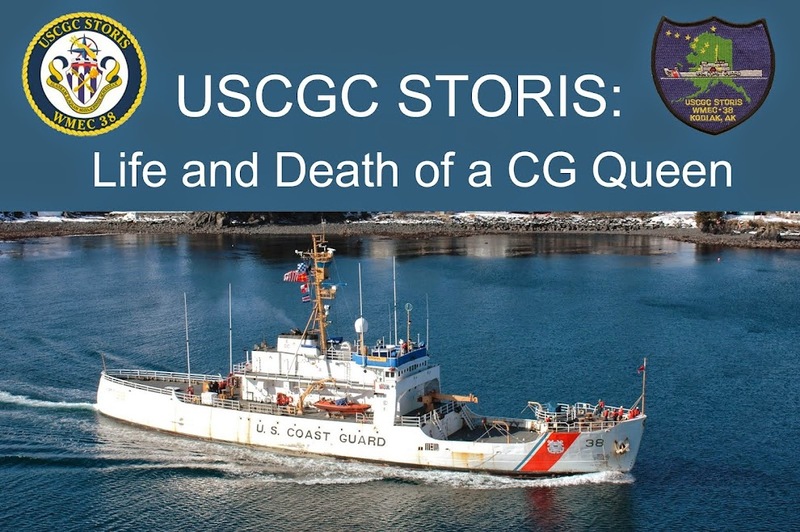 P 6-7 – A sad document that outlines the process through which the U.S. Coast Guard excessed CGC STORIS after all the years of her dedicated service and the six years and $300,000 spent to hold the ship to become a museum. This fatal separation from the CG is over the signature of then-Commandant Robert Papp. 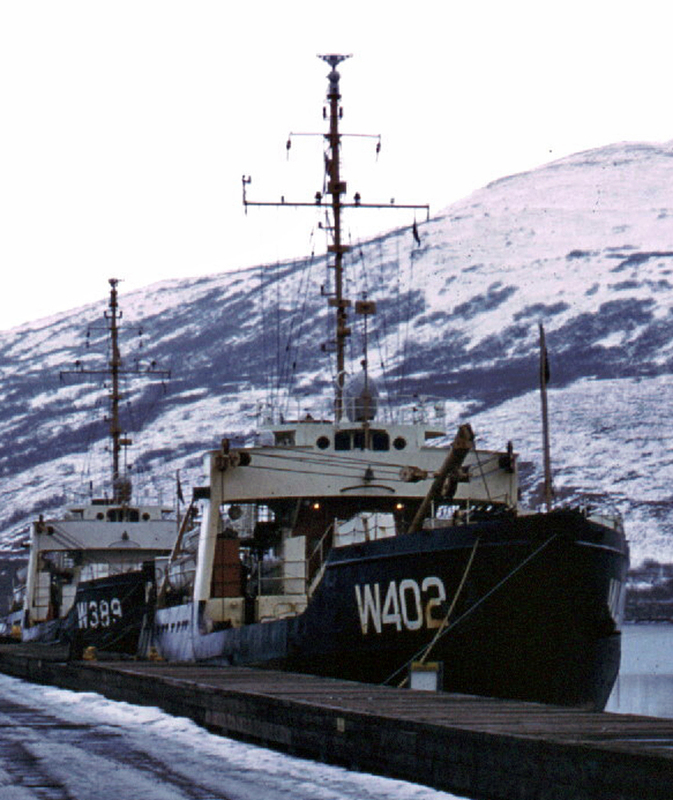 P 8 – A letter from the Coast Guard to the Alaska State Historic Preservation Office regarding the popular report associated with the Memorandum of Agreement between USCG and AK SHPO for Section 106 of the National Historic Preservation Act of 1966. It was this MOA that acknowledged that STORIS could potentially suffer physical harm if decommissioned and cut off from federal support. So to allow the ship to be decommissioned, the AK SHPO through Section 106 allowed the ship to be retired if the CG thoroughly documented the ship through high-resolution b/w photography and drawings through the Historic American Engineering Record, to be accompanied by a written popular history report. This MOA is what Heather Bischoff and Tonya Dillard of GSA would use in spring 2013 to break off negotiations with the STORIS Working Group as we were trying to secure custody of the ship. GSA contended that the 6-1/2 year-old document fulfilled all the government’s obligations to preserve the ship and therefore they could discard her just like an old file cabinet. Incidentally, Alaska SHPO did have issues with the popular report discussed in this letter. When I submitted that written complaint to AK SHPO last year to compel the CG to move STORIS’ bell, builder’s plate and NW Passage plaque to curatorial storage in Maryland, I discovered from my correspondence with Shina DuVall of AK SHPO that the CG has not completed the revisions to the report. The Coast Guard claims it doesn’t have the funding to do so. So STORIS is slighted again. It will be 10 years in a couple months that she was decommissioned and she’s been gone for three years. P 9-12 – Email discussion between USCG and MARAD about procedures and costs for STORIS’ storage and disposal. Also discussion about how to keep STORIS Museum informed of developments at that time. P 13-22 – Correspondence between CG and GSA about STORIS’ auction and sale. This includes a copy of the ship’s auction prospectus. GSA claims the Sea Cadets affiliated with the Toledo partners in the STORIS Working Group were ineligible to claim the ship through the GSA donation program because the Sea Cadets can only obtain equipment from the Department of Defense. Somehow, STORIS was considered civilian equipment by GSA even though the State Department would officially class STORIS as a retired warship several weeks later while negotiating an export permit for her to be allowed to go to Mexico under the International Traffic in Arms Regulations. P 23- 24 -- Explanation from CG to GSA about the necessity for the buyer to secure a COFR, or Certificate of Financial Responsibility. Through oil pollution regulations, ships over 300 gross tons must carry enough liability insurance to cover oil spill remediation. More discussion about the flexibility of terms for moving the ship because of time needed to reactivate her for movement under her own power. This movement flexibility will be critical later. Also of note is an inquiry from an unknown party asking about the reserve price. The inquiry came from someone who had bid on a NOAA research ship and was apparently curious about how the reserve pricing was established. That has been discussed in the GSA FOIA releases. The person making the inquiry is unknown, but I have my suspicions based on context. I’ll watch for other clues. P 25-27 – Discussion between CG and GSA to adjust logistics and language of the auction to address personnel availability issues for ship inspection that conflict with what was posted in the auction. P 28-29 – More discussion about the necessity for the COFR. There was an estimated 100 gallons of oil and hydraulic fluid on board the ship, some of which had leaked into the bilge. The correspondence between Jeff Beach and a CG inspector refers to a Coast Guard inspection report but the Coast Guard DID NOT provide a copy of the report to which this email correspondence refers. So right there that’s a deficiency in the CG response to me, to identify a record that exists related to STORIS but a copy of which they did not provide me. P 30-31 – Discussion with Beach and unidentified correspondents looking to identify who purchased the ship. GSA refused to release the buyer’s information without a FOIA submission. It was through a FOIA and through contact initiated by the buyer to attempt to extort money from the STORIS Working Group to save the ship that we learned that the buyer was Mark Jurisich of U.S. Metals Recovery in San Diego. Jurisich was registered as a supposed used car dealer of dubious reputation and documentation in California, with his registration suspended for tax issues. P 32- Statement provided by the CG in lieu of a builder’s certificate for the ship, since she was constructed for the CG as a unique cutter rather than as a commercial build. P 33-34 – Correspondence with CG, GSA and the US State Department regarding STORIS’ designation as a retired warship and the necessity imposed on the buyer to negotiate an export permit through ITAR channels. I submitted a FOIA to State Department seeking the records from that agency, but I have had no response in many months. This will be stalled indefinitely as the State Department is currently embroiled in all of the FOIA lawsuits and legal firestorm surrounding former Secretary of State Hillary Clinton’s illegal email server and State’s efforts to cover up Clinton’s activities. P 35 – Correspondence dated 25 Sept 2013 sent by Jeff Beach to Tonya Dillard of GSA reminding Dillard that STORIS needed to be removed from the Suisun Bay National Defense Reserve Fleet by 1 October 2013 or the CG would be on the hook for additional storage costs. This was typically done with an annual payment of ~$50,000. So for the six years STORIS was at the SBRF, the Coast Guard spent some $300,000 to keep the ship available for museum use. Then the GSA sold her at auction for $70,100 as this was in the government’s best interests, according to GSA officials. And people wonder why our country is so far in debt. The ship was originally to have been removed within two weeks of the close of the auction in late June. However, it was learned that MARAD had other tasks scheduled for that time period in moving other, larger ships from the fleet, so STORIS could not have been moved until late August. The buyer continued to flaunt this, nevertheless, and it would get more serious from the CG’s perspective in the coming weeks until this critical point where Jeff Beach here requests that Dillard void the sale of the ship and return STORIS to the legal custody and ownership of the Coast Guard. P 36-37 – Additional supporting correspondence sent 26 Sept 2013 by Jeff Beach to Tonya Dillard of GSA showing that Beach and MARAD officials had already discussed the situation with STORIS remaining in MARAD custody at the SBRF with impending storage costs about to be assessed to the Coast Guard for Jurisich’s failure to remove the ship after the auction. P 38 – An email receipt showing Tonya Dillard had opened Beach’s email of 25 Sept.
P 39- 40 – Continued correspondence between Jeff Beach and GSA, drawing in Dr. Karen Warrior, the director of personal property for GSA. Warrior had responded to Jeff Beach’s 25 Sept email request to void the sale. GSA, through Karen Warrior, claimed that Jurisich had made reasonable attempts to move the ship but was hampered by circumstances beyond his control. She claimed that voiding the sale would open the government to liability and financial damage through breach of contract. What about Jurisich and his failure to comply with the sales contract’s requirements to remove the ship in a timely fashion? Beach points out that issues with the State Department delaying the ship’s export did not prevent Jurisich from moving STORIS to a non-government facility within the SF Bay area. P 41- Another critical email exchange, dated 16 October, from Jeff Beach to Mark Brantley of GSA demanding that the sale of STORIS be voided and the ship returned to Coast Guard custody. As you know a purchaser's receipt was issued on 3 Duly following the public sale of USCGC STORIS. Removal date was listed as due by 07/12/13. MARAD who holds the vessel could not make the vessel available until 8/26/13. Your office granted an extension of removal until 10/15/13, more than 45 days after the ship was available for removal. The buyer has yet to remove the vessel for reasons only to support his personal choice to move the vessel directly to a location. This needless delay has created additional expense for the U.S. Coast Guard. GSA refused. In any event, two days later on 18 October, we became aware through a distressing late evening text message from a contact in the SF Bay area that arrangements had been made to tow STORIS out of the country on 25 October bound for Ensenada, Mexico, and scrapping. P 42-48 – Correspondence between Jeff Beach and MARAD to complete paperwork necessary to release STORIS from MARAD custody to the buyer so she could be removed from the SBRF. P- 49 – Correspondence between Jeff Beach and other CG officials related to an inquiry from Christopher Rollins, an inspector with EPA Region IX, about STORIS and her disposal path. Rollins had contacted CG on 28 October. Once we had heard that STORIS was to be exported to Mexico, it was too late Friday to do anything about it. We had to wait until Monday, 21 October, until offices in California opened for business. I immediately left a message with the Environmental Protection Agency to inform them of the high likelihood that STORIS contained PCBs on board that should have made her export illegal. I received a phone call from Rollins, the inspector with EPA Region IX on Wednesday, 23 October. I explained all that I knew of STORIS likely contained PCBs on board due to her age and use. He indicated at that time that he had documentation that showed STORIS was free of regulated PCBs. This would later turn out to be the flawed report discussed at the opening of this post. Once STORIS had been towed out of the SBRF, I became aware of additional concerns related to PCBs on board STORIS following an inquiry from Polly Parks, then an official with European Metals Recycling, a major ship recycling company with yards all over the world, including Brownsville, Texas. Ms. Parks, a well-versed authority on ship recycling and U.S. regulations, had read a newspaper story in Stars and Stripes about STORIS’ export to Mexico for scrapping. She sent correspondence to government agencies expressing concern and skepticism about the legality of the STORIS export and the ship’s status as free of regulated PCBs. Again, the government fell back on that flawed PCB sampling documentation. But there was concern raised to the point where EPA officials in Washington got involved and had to give a final go-ahead for STORIS to be allowed to leave US territorial waters. Rollins had additional correspondence with Jeff Beach on 28 October, after we had been working the phones to legislators and news agencies to raise the alarm of STORIS’ illegal export with the PCB issue. Again, it was shady as hell to take STORIS out of the SBRF late on a Friday afternoon when the tow would have a two-day head start to get out of the country before anyone could try to intervene on Monday. P 50-51 – Correspondence between CG and GSA with receipts and releases for the ship to be let go from MARAD custody at the SBRF. P 52-59 – Critical discussion related to PCB content on board STORIS as discussed in the opening to this post. As stated above, it is clear the Coast Guard had no idea how to deal with current regulations for PCBs on its ships and the paperwork language used in the Environmental Assessment was inadequate and likely illegal based on EPA review. 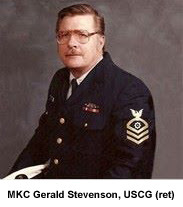 However, with the correspondence back and forth, Coast Guard officials claimed the ship was free of regulated PCBs, both encapsulated and unencapsulated, despite the likelihood that, for example, STORIS’ original paints under years of subsequent layers still would have contained PCB fire retardants. The cabling that was still on board the ship, some of which was original to the ship’s 1942 construction, was also oozing a black liquid in the months leading up to her decommissioning. Those cables, while not known to be type with the liquid coolant containing PCBs, were still degrading and breaking down. Surely, that was also a cause for concern with potential PCB components from the 1941-era insulation released by the breakdown of the coverings. And from William Noggle, PCB official from EPA in Washington. “Thanks for the response. The boilerplate language is not correct if these vessels are to be sold for foreign scrapping. Any PCBs over 50 ppm, including totally enclosed, are in violation of TSCA if exported for disposal. As discussed earlier, it should have gone beyond just any liquid-filled cables. It is my understanding from correspondence with ship recycling experts that any PCB-containing materials from fire-retardant paints to electrical ballasts for fluorescent light fixtures to even grease all need to be considered for PCB content. The domestic yards are held to these standards by the government, but the government doesn’t consider its own strict guidelines when dealing with its own ships. At least the Coast Guard, anyway, as the U.S. Navy has strict procedures in place when transferring former Navy vessels out for use as museum ships. This has been discussed in other posts, with examples of the detailed agreements that are put in place between the EPA, Navy and the ship recipients as waivers of the TSCA regulations for PCBs. This process with STORIS – and likely other cutters sold to the public or released for museum use – was followed incorrectly and there should have been serious penalties for the parties involved. The CG made huge mistakes in this situation. We know from other FOIA releases that MARAD officials also questioned what was going on with STORIS and her PCB-free status but they did nothing about it either, despite being the federally designated agency for ship recycling. EPA didn’t act to intervene with the ship’s export when she was still en route and later, when she was in the yard in Mexico. She should have been repatriated to the U.S. No, historically the Coast Guard doesn't sell ships for foreign scrapping. Allowing STORIS out of the country to be demolished, especially with PCBs on board, violated at least two federal laws, the PCB export ban of the TSCA and §3502 of the Duncan Hunter NDAA of 2009. But the government doesn’t make mistakes. They just break more rules and compound the situation to cover up their earlier egregious violations. P 60-64 – Correspondence between Jeff Beach and MARAD regarding departure documentation for the ship, including photographs. Much of this is posted elsewhere on this Facebook page through the MARAD FOIA information. P 67- 68- Final correspondence between Joe Pecoraro of MARAD and Jeff Beach about departure photos. So that’s it. Another FOIA release and another disappointing look into how bureaucrats and officials within our government worked together to destroy the nationally significant CGC STORIS. I’m not done yet. There are still appeals to pursue and other questions to ask. I think new FOIA requests will be needed to seek other documentation that’s missing, so we will see where that goes. This is tedious reading and hard on the eyes, brain and heart, but we deserve answers. STORIS deserves answers. Moreover, there needs to be some accountability, even if it’s just permanent shame attached to those responsible.